Art is a game changer as far as interiors are concerned, regardless as to whether it’s a residential or commercial space. It can add intrigue, mystery or a cool creative edge. It can underpin a certain stylistic vibe or it can help to pull together a colour palette (or provide a visual contrast) within any space. And most importantly it helps to personalise an interior. Art is super adaptable too. Hallway…bathroom…kitchen…office, or display it in the garden. Anything goes! Of all the the 3D visuals that I’ve created that include a piece of art, this one is my ultimate fave. It’s feminine without being too girly but also edgy without being too extreme. In my eyes, it’s perfection. Find out more about the Artist, Leigh Viner. here. Art can also include sculpture or installations. 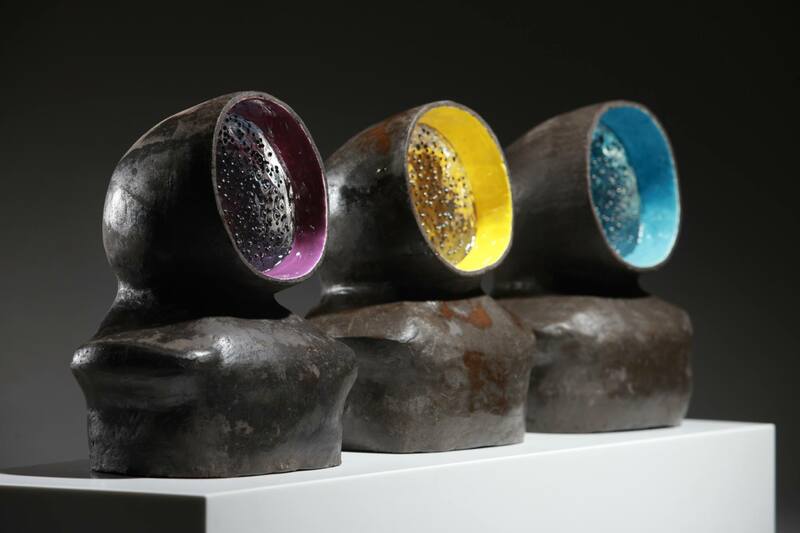 I previously discussed the work of local Artist, Patrick Colhoun, who creates striking pieces using a variety of materials and colours, that have strong masculine connotations. View my top picks here. But Art can be expensive (I’m not judging) and not everyone can afford to splash the cash on a piece of original art (or sometimes a print, depending on how well known the Artist is). So when I stumbled upon a website called ‘Originial Art Under £100‘ I was very curious to explore its offerings. In my opinion, if you like a piece of art and the Artist is unknown (or it hasn’t been displayed in a hoity toity gallery), it shouldn’t matter. What’s important is that the piece of art has appealed to your senses, to the extent that you feel the urge to display it in your home. I appreciate that it can be difficult to appease all of my readers when it comes to my top 5 picks, what with art being subjective and all but I hope to illustrate that you don’t need to take out a small loan to become the new owner of a cosmic piece of art. Let me know if you like any of my top 5! Click on each image to view more details. Reblogged this on simon kirk fine art. Hi Russ! Thanks for taking the time to stop by and for your positive feedback. Which one is your favourite? !